The DC Classic is one of the mid-Atlantic's premier high school basketball tournaments, bringing together top-ranked programs from around the country for great basketball supporting great works. We look forward to seeing you at the 2018 DC Classic in December, the 30th anniversary of this wonderful event! All proceeds support Gonzaga's service projects and trips. Advertisers receive not only great exposure to hoops fans in the DMV, but VIP passes to the games and tickets to the President's Reception, which kicks off the tournament. All games this year will be in Gonzaga's Carmody Center on December 7th, 8th, and 9th. 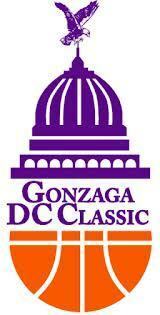 Visit the DC Classic website for brackets, highlights, and more. Or click on the purple links on this page for more information about how you can support or get involved in the tournament! If you have any questions, please feel free to contact us. We look forward to seeing you on Eye Street in December!